“What I think, is that this is hell,” is what my sister told me. Me and Tara, ca. 1985. Arriving in the United States from Thailand. By this point, I’d already gone to seminary. So it occurred to me, in the moment, that my sister was articulating a very present eschatology. By this point, she’d been living with a dual-diagnosis of persistent mental illness and mild developmental delay for a few years. She’d experienced the primal wound of being abandoned by her birth mother, raised in a foster home for the first six years of her life, and then torn from the land of her birth by loving, well-intentioned people who, nevertheless, did not look like her, or speak her language. By this point, my sister, Tara, who is Thai by birth and gifted with beautiful, lustrous brown skin, had experienced a childhood filled with racism both ignorantly casual and pointedly vicious. She had spent years running away from home, running toward danger. She’d been exposed to the violence that comes with life on the streets. She’d been beaten, she’d been exploited, and when she turned to the police in a life-or-death moment looking for help escaping the horrors of her immediate surroundings, they’d taken one look at her and saw only a disheveled, disorganized, dirty, brown-skinned girl with a funny way of talking and they told her to get lost, as if she wasn’t already. So, my reflection on this passage from Matthew has to start there, in hell, though the text itself does not use that word. This scene of final judgment, which is unique to Matthew’s gospel, is “the only scene with any details picturing the last judgment in the New Testament.” Here we hear Jesus speaking in the voice of the ruler of heaven and earth seated on a cosmic throne before all the nations, rendering a judgment that addresses each person, each of us, on the basis of how we have responded to the human beings in our midst who are experiencing on a daily basis the depth of the hells this world has to offer: hunger, thirst, hostility to all that is strange or foreign or different, the bare naked exposure of poverty, the wretchedness of disease and illness, the graceless confines of our retributive justice and our merciless prison industrial complexes. In this scene of final judgement, the Lord of the universe says nothing about people’s personal sentiments, or public proclamations. The Lord gives no consideration to who you have claimed as your “personal Lord and savior.” The Lord of time focuses, like my sister, on the present and the fires to which we have consigned each other and asks what we have done for those whose daily reality is a burning hell. Illustration of St. Matthew the Evangelist from the Lindisfarne Gospels. Britain, 8th century. I haven’t always known quite what to do with the festival of the Reign of Christ at the end of each liturgical year. Over time, however, I’ve come to appreciate the opportunity it provides for us to consider the distinctive voice of the synoptic gospel assigned to the year now ending. For this last year, it has been the Gospel of Matthew. So we have been hearing the good news of the revelation of God in Jesus Christ in a recognizably Matthean mode. Matthew’s theological world draws us into a recognition of the reign of God in clear opposition to the reign of Satan; it is the only gospel to speak explicitly of the “church” as a description for the community of believers, and so it invites us to give consideration to what we think the church is and who is part of it; it insists that Jesus is the fulfillment of the law, not the abolishment of it, and in doing so it ties the ethical life of those who follow Jesus to the ethical demands of the prophets of Israel. Then there is the thorny matter of Matthew’s relationship to the rest of Judaism, as this gospel preserves the memory of a religious community divided within itself over the nature of the covenant, the revelation of the messiah, and the imperative of the present moment to acknowledge and respond to what God is doing now in human history. These themes and tensions are always with us, and I was reminded of that fact as I read and re-read the Boston Declaration, a theological statement released last Monday at the annual meetings of the American Academy of Religion and the Society of Biblical Literature that publicly calls out American Evangelicalism for the ways that it has stoked the fires of a very real and present hell for millions of “the least of these” who suffer under the tyranny of intersecting ideologies of oppression that have interlaced racism, colonialism, and environmental degradation in ways that have created a living hell for the peoples of Puerto Rico, the Virgin Islands, and the US territories; that have privileged and prioritized profits for gun manufacturers over the lives of human beings; that have supported the violent hetero-patriarchy evident in the daily revelations of rampant sexual misconduct and abuse by men against women and girls in workplaces and in homes; that has scapegoated Jewish people, Muslim people, Black and Brown people, and Queer people for the sins of White Christian Patriarchy; for elevating the economic appetites of nations by respecting national borders more than the lives of those who cross them as immigrants or refugees from the living hells created by those very same nations. The stark and unapologetically divisive nature of the Boston Declaration very much reminds me of the stark and unapologetically divisive nature of this scene from Matthew of the final judgment in which all the nations are gathered before God and the people are surprised once more to hear that God takes sides. 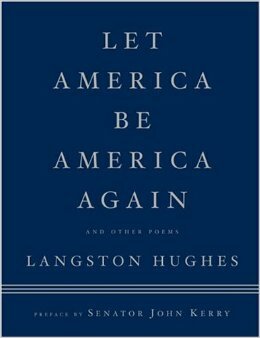 That our apathy and misconduct cannot be dismissed or justified by our claims to ethnic or national or religious exceptionalism. We all recoil from this scene, or should if we are in the least bit self-aware. The on-going presence of hunger and thirst, violence and poverty, malicious neglect of the ill and obscene incarceration of our neighbors who are, in fact, our siblings, indicts us all as complicit in the dominion of “the devil and his angels.” (Mt. 25:41) And it simply will not do to dismiss our discomfort with reminders of our Lutheran doctrine of justification by grace through faith; to let ourselves off the hook with reminders of God’s unceasing mercy, because it is God who addresses us here. It is God who speaks these words of judgment. So we are left to grapple with the purpose and function of this eschatological vision and the tensions it produces. It is a tension that brings me back to my sister’s own declaration: “What I think, is that this is hell.” A very present eschatology, not unlike, I think, Jesus’s own eschatology. After all, it is in Matthew’s gospel that Jesus begins his public ministry by proclaiming, “Repent, for the kingdom of heaven has come near.” (Mt. 4:17) This is Matthew’s Christology, that Jesus brings the reign of God, the fulfillment of God’s promises in the past, into the present moment with consequences for all of human life, for all of creation, here and now. Now is the moment of judgment. Now is the assurance that God does, in fact, take sides. Now is the promise that the hells in which we are burning cannot stand against the waters of the Christ into whom we are baptized. Now is the moment of our salvation. Now, not in the words we say or the identities we claim, but in the acts of lovingkindness we perform for one another, for the needless misery we relieve, for the welcome we offer, for the liberation we effect. Now. Now. Now. Hell is not a threat of future punishment by our God. It is now. Or at least that’s what I heard when I listened to my sister, one of the least of these, and I believe her. What do you suppose might happen if you, if all of us, believed the voices of the women and girls, of the strangers and foreigners, of the masses that are incarcerated, of the legions of the sick and dying, of those who hunger and thirst? We struggle with the vitriol Matthew voices against those he calls “the Jews” because of the long history of Christian anti-Semitism, which the Boston Declaration rightly both laments and condemns. In its own context, however, what Matthew gives witness to is an intra-religious conflict among people who understood themselves as belonging to the same faith, yet who still drew very different conclusions about what God was doing in the present moment and what their faith required of them as a result. Here, again, the Boston Declaration provides a timely example. We might wonder what this present moment will look like two thousand years from now to those who have the advantage of that perspective, who will be able to look back and see what this one group called Mainline Protestants said about another group called American Evangelicals. We cannot know how these divides will deepen, or heal. Perhaps we will continue to drift away from one another to such an extent that we can no longer even recognize ourselves as belonging to the same religion. Here Matthew shows us the righteousness of God, in that, no matter how much Matthew the evangelist might wish to claim superiority over the other sects of Judaism on the basis of his theological declarations, in the end God once again confounds our ideas of righteousness by disrupting the borders we draw around nations, tribes, religions, identities by lifting up those who do what is needed to meet the needs of the wounded neighbor, the suffering sibling. We, too, should hear this word: that God cares less for our Boston Declarations than for our actual presence with those who suffer. God cares less about the accuracy of our theological ideas than the impact of our public witness. Just as fifty years of dialogue with the Roman Catholic church has led us to a new commitment to shared acts of proclamation and service, we might imagine and should already be looking for ways to heal the rifts that divide us from the very people we now condemn. For surely, in the moment of judgment that is always already happening, we will discover once again that we are all a part of the same family, that we all bear Christ to one another, that we are all standing before the throne of God, and that we are all in this together. I woke up yesterday morning and noticed that it wasn’t freezing outside, and I was so grateful. It seemed like the kind of day when it might be nice to be outside, the first day in a week or so when I could imagine going for a walk in the park next to our home. 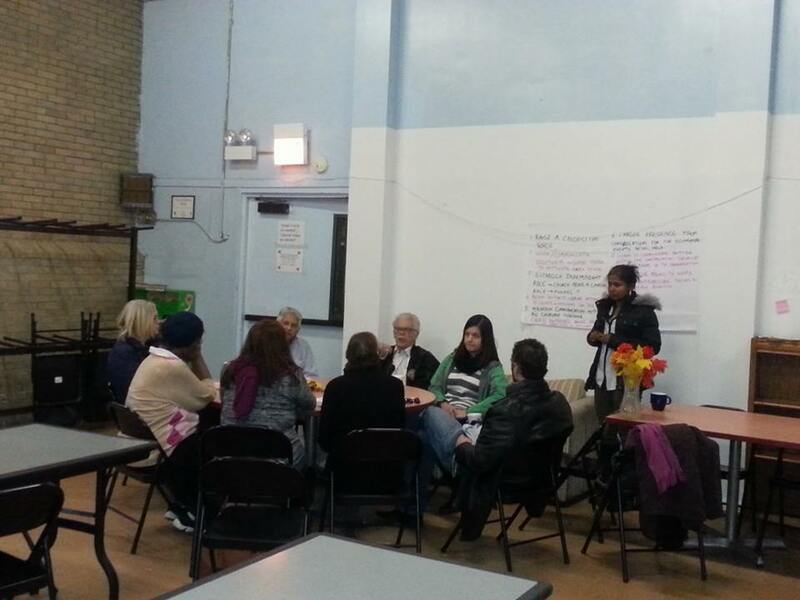 But I’d committed to attending the Logan Square Ecumenical Alliance’s event at Humboldt Park United Methodist Church, “Connecting with Our Neighbors: Uniting Congregations for Social Justice.” I’m so glad I was there. In the eight years that I’ve been working with the pastors of Humboldt Park United Methodist I’ve been to their building and have sat in their meeting room many times, but until yesterday I’d never been in their sanctuary. It’s smaller than ours, but with the same traditional architecture: the chancel in front with a high altar, rows of pews in the nave and a rear balcony. Like ours, it’s showing its age. Something about that made me feel right at home, the way you can walk into almost any sanctuary and understand the architecture and its function. It teaches you how to relate to each other. So when people began to arrive, one-by-one or in clusters, I happily welcomed them and made a choice to sit next to people I didn’t already know, wanting to get to know who these neighbors of ours who worship so nearby and who care so deeply about our calling as God’s people to work for justice in the world. We began with worship led by Humboldt Park United Methodist’s new pastor, the Reverend Paula Cripps-Vallejo, a young woman (also from Iowa) who’s been serving there for about half a year. Again, we’ve sat in plenty of meetings together already, but this was the first time I’d seen her lead worship. I was so impressed with the fluidity with which she moved between Spanish and English, effortlessly guiding us all through a sequence of litanies, songs, testimonies and prayers in both languages so that everyone in the room could be equally engaged in what we were sharing with one another. One neighbor, Leslie Willis from Kimball Avenue Church, recited Langston Hughes’ heartbreaking poem, Let America Be America Again, which unfolds around the central refrain, “America never was America to me.” She spoke of Michael Brown in Ferguson and Trayvon Martin in Sanford, and her longing for racial justice not only in our nation, but right here in our neighborhood. Another neighbor, Flori Rivera from Humboldt Park United Methodist, shared her story of coming to the United States with us including how she came to be a member of that church. She was drawn to them because of the work they were doing with immigrants like herself, but she remained because her skills as a social worker were engaged as she and other women in the congregation built a ministry to and for families experiencing domestic violence that has been a mainstay of that congregation’s service to our community for decades now. The stories continued, one woman speaking through tears about the struggle to keep her family safe and together through our nation’s broken immigration system. Pastor Eardley Mendis from our sister parish, First Lutheran on Fullerton, talking about the challenge of ministering to a congregation in which many of those gathered for worship are homeless and hungry. Between each story we sang and we prayed and I could feel it happening, that thing that happens when we enter into the familiar pattern of worship with unfamiliar people: we were becoming a community. After we’d worshipped we moved from the sanctuary to the fellowship hall and gathered in small groups around tables, a familiar liturgy all its own. After another round of introductions we were asked to share why social justice mattered to each of us, and here’s the thing I find unremarkably remarkable: no one said that they do the work of justice because they are afraid of hell. Not one of these Christian neighbors named as their reason for their good work a fear of hell. I call this unremarkably remarkable because to us, who gather here for worship week after week, I don’t think this is much of a surprise at all. You know each other’s hearts. You share each other’s motivations. You, like the people gathered around those church basement tables yesterday, are all engaged in the work of caring for your neighbors in a variety of ways. You share your time, your skills, your money and all your other assets feeding the hungry, caring for the sick, welcoming the strangers in your workplaces and on your block, visiting with those imprisoned by illness or otherwise incarcerated. You take action on behalf of the unseen, the unwanted, the unknown year after year, and I never get the sense that you do it from a place of fear, of hell or any other punishment. You do it for the same reasons I heard offered around yesterday’s tables. You do it out of gratitude, recognizing all that others have already done for you. You do it out of love, for the friends and family members who need your help. You do it out of passion burning in your heart for the environment, for children, for people living at the margins with their backs to the wall. You do it out of duty, honoring the memory of parents and those who’ve gone before you, showing you the dignity in a life of faith. You do it because you’re acquainted with grace, having been on the receiving end of it, and you simply want others to experience what you have come to know — that in God’s good economy all are welcome and there is always enough. This work of yours is unremarkably remarkable however, because for many people outside the church the message they have heard is one of condemnation and damnation. Go to church, or else. Acknowledge Jesus Christ as your personal lord and savior, or else. Walk the straight and narrow, or else. Do right, or else. We may shake our heads at this fear-based, punishment-oriented caricature of Christian faith but we should not marvel at its ubiquity, after all it is simply the liturgy of the world wrapped up in religious language. Go to work, or else. Respect the authorities, or else. Follow the rules, or else. Conform, or else. Our souls rightly rebel against this deforming way of life, and against any institution that imposes it on us. Yet, it is very difficult to resist the spirituality of conditional belonging when your housing, your food, your economic wellbeing are governed by it. In today’s gospel Jesus gives us an image of God’s judgment in which all the nations are gathered together and then people are recategorized, not on the basis of what nation, or what race, or what class, or what club they belong to, but on the basis of whether they have been turned in upon themselves or turned outward toward the needs of those around them. The deep irony in our all-to-common reading of this story is that in our anxiety about God’s judgment we begin to turn inward once again and begin the process of drawing the lines that separate us, sheep from goats. But in God’s story, the sheep don’t know they’re sheep and the goats don’t know they’re goats and all of them are watched over by a shepherd who promises to seek after the lost, to bring back the strayed, to bind up the injured, to strengthen the weak (Eze. 34:16). I don’t know if you’re a sheep or a goat, but I can promise you that if you are lost, lonely, injured or weak, God is reaching out to you with food and drink, a warm welcome and safe lodging, healing and accompaniment. I know this because I’ve seen it, I’ve watched you reaching out toward one another, huddling together the way sheep do in a field.